There are times when we wonder if we have really understood Guru Nanak Sahib’s revolutionary mission. There are times when we wonder if we have really understood Guru Nanak Sahib’s revolutionary mission. 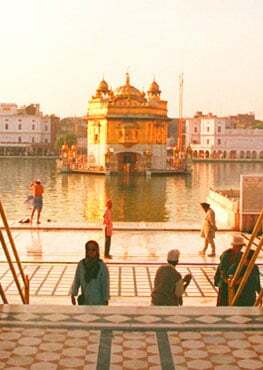 The same Guru Jote and Jugat of Guru Nanak Sahib in Ten human forms condemned ritualism, superstition, renunciation, austerities, miracles, baths at teeraths (sacred places) and sacred rivers to wash away sins, “holy water” brought home from such places, etc., while the bogus priesthood in various guises exploited ignorant people by preaching this falsehood. Sikhi “shardha” (spiritual faith) does not extend to ritualism but is based on “khoj” of Shabad with a Guru-centred mind. Guru Gobind Singh ji warned us against these “Bipran ki reet” while, today, some are insisting on the same practices with threats against those who do not follow their version of Sikhi. The Guru’s positive central theme was to bring humanity back to truthful conduct and acceptance of Bhana (Divine Will); back to honest living, service and constant God awareness. Guru Nanak Sahib and other Guru persons travelled the countryside preaching their liberating and egalitarian Gurbani Message now enshrined in Guru Granth Sahib. 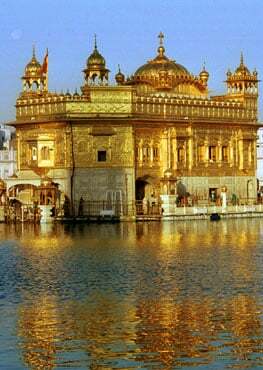 It is clear from dates and places that after Guru Nanak Sahib, Guru Tegh Bahadur ji covered vast tracts in eastern India and beyond. There are numerous Gurdwaras and even a monument erected in Guru ji’s name in Assam. So, either Guru ji was meditating in some isolated “bhora” much against Sikhi teaching and tradition, or was openly venturing amongst the people preaching “fear none and frighten no one” against Mughal bigotry. We cannot deny Guru Tegh Bahadur ji’s ultimate sacrifice. At the other extreme we have the modern Sikhs bent on driving coach and horses through the Sikh Reht Maryada – the Code of Sikhi conduct and regulation – which holds Sikhi together as a distinct miri-piri system. A third front is the Hindutva agenda which either insults Sikh tradition or makes it a part of Hinduism. To quote a passage from a text book by the Indian National Council for Education and Research, “The Guru [Tegh Bahadur] had started living in style, with an armed following, and assumed the title of sachchah padshah (“the true sovereign”)…. According to some Persian accounts, the Guru had joined hands with a Pathan, Hafiz Adam, and created disturbances in Punjab. According to Sikh tradition, the execution was due to intrigues against the Guru by some members of his family who disputed his succession…” Thus Guru ji’s great sacrifice is denied. Yet, Sikh factions threatening physical violence against each other seem to be blissfully unaware of such distortion of Sikh history by official historians. Responsible Sikhs are concerned about the ideological divisions within the Khalsa Panth. Guru ji has shown us the way for resolving such conflicts and seeking guidance. Sri Akal Takht Sahib was established by Guru Hargobind Sahib as the supreme miri-piri authority. By Guru Gobind Singh ji’s final command, this supreme authority of Sri Akal Takht Sahib is represented jointly by Sri Guru Granth Sahib and Guru Khalsa Panth. Independent processes are necessary for reviving the Sikh tradition of Sarbat khalsa and conflict resolution. Threats of violence cannot be the Gurmat-based response for resolving internal disagreements.